Abasaheb is a Pomegranate farmer from Vinchur, Nashik. Following his father and uncles, he also got into farming after completing his formal education. 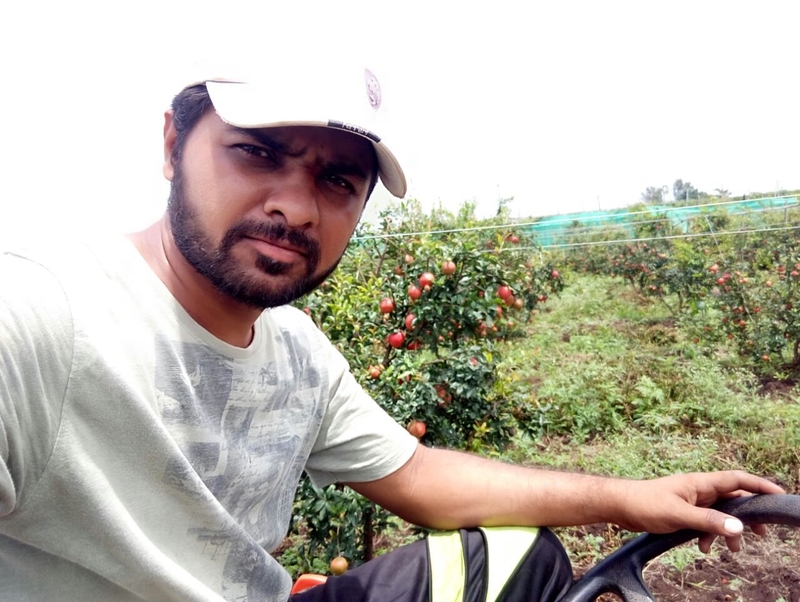 Being the youngest, he has been looking at newer ways to improve the farming practices and finding newer markets for the produce. His quest got him to FarmerUncle and this would be the first lot that he will be sending to us. Bhagwa is the best variety of Pomegranates available in the country. The fruit is juicy and the almost seedless. Unlike other varieties, the pit of the seed is not hard which makes the fruit easy to eat. Also the farmer is doing a special sorting to pick out the gold grade, ensuring that every piece that you receive is nothing but the best possible fruit. The fruit size is around 250 grams.